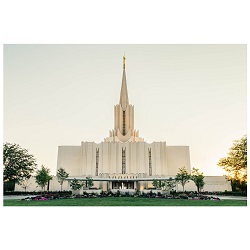 We've combined simple, modern typography and inspiring Latter-day Saint quotes to help you invite the spirit into any space. 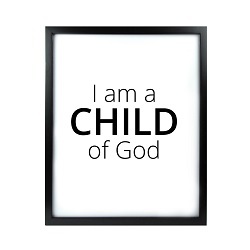 This art print features the phrase "I Am A Child of God." It's available in three different frame styles and two size options. Each one is expertly mounted and framed. Please note, our frames do not come with a glass panel. 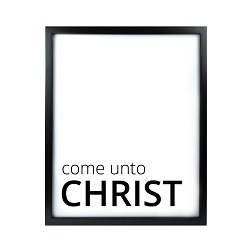 We've combined simple, modern typography and inspiring LDS quotes to help you invite the spirit into any space. 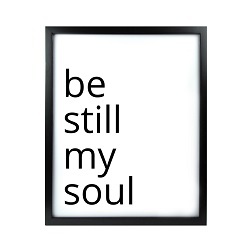 This art print features the phrase "Be Still My Soul." It's available in three different frame styles and two size options. Each one is expertly mounted and framed. Please note, our frames do not come with a glass panel. 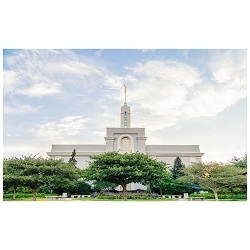 We've combined simple, modern typography and inspiring LDS quotes to help you invite the spirit into any space. 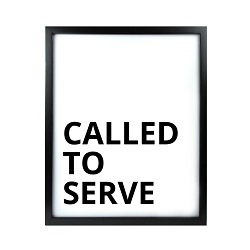 This art print features the phrase "Called to Serve" and is especially good for missionaries and their families. 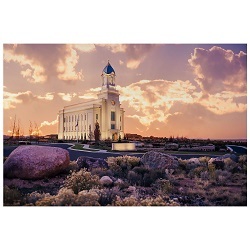 It's available in three different frame styles and two size options. Each one is expertly mounted and framed. Please note, our frames do not come with a glass panel. We've combined simple, modern typography and inspiring LDS quotes to help you invite the spirit into any space. 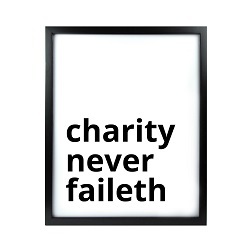 This art print features the phrase "Charity Never Faileth," as inspired by the scriptures and Relief Society motto. It's available in three different frame styles and two size options. Each one is expertly mounted and framed. Please note, our frames do not come with a glass panel. 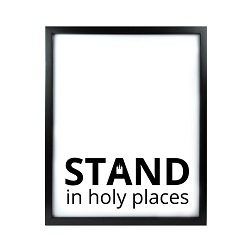 We've combined simple, modern typography and inspiring LDS quotes to help you invite the spirit into any space. 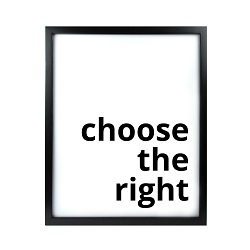 This art print features the phrase "Choose the Right." It's available in three different frame styles and two size options. Each one is expertly mounted and framed. Please note, our frames do not come with a glass panel. 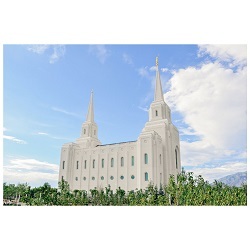 We've combined simple, modern typography and inspiring LDS quotes to help you invite the spirit into any space. 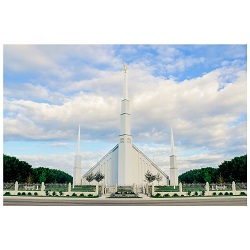 This art print features the phrase "Come Unto Christ." It's available in three different frame styles and two size options. Each one is expertly mounted and framed. Please note, our frames do not come with a glass panel. We've combined simple, modern typography and inspiring Latter-day Saint quotes to help you invite the spirit into any space. 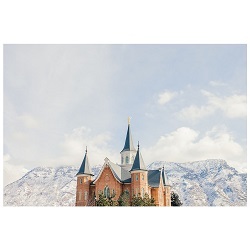 This art print features the phrase "Count Your Blessings." It's available in three different frame styles and two size options. Each one is expertly mounted and framed. Please note, our frames do not come with a glass panel. 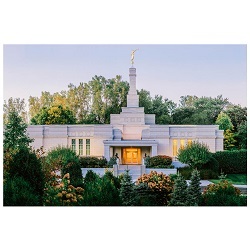 We've combined simple, modern typography and inspiring Latter-day Saint quotes to help you invite the spirit into any space. 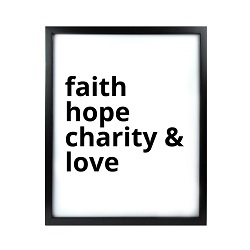 This art print features the phrase "Faith Hope Charity & Love." It's available in three different frame styles and two size options. Each one is expertly mounted and framed. Please note, our frames do not come with a glass panel. We've combined simple, modern typography and inspiring Latter-day Saint quotes to help you invite the spirit into any space. 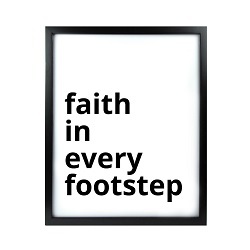 This art print features the phrase "Faith in Every Footstep." It's available in three different frame styles and two size options. Each one is expertly mounted and framed. Please note, our frames do not come with a glass panel. We've combined simple, modern typography and inspiring Latter-day Saint quotes to help you invite the spirit into any space. 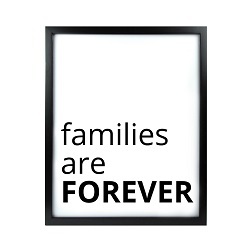 This art print features the phrase "Families Are Forever." It's available in three different frame styles and two size options. Each one is expertly mounted and framed. Please note, our frames do not come with a glass panel. 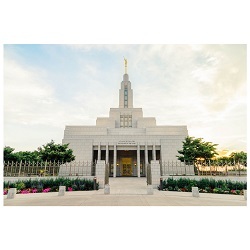 We've combined simple, modern typography and inspiring Latter-day Saint quotes to help you invite the spirit into any space. This art print features the phrase "Give Thanks." It's available in three different frame styles and two size options. Each one is expertly mounted and framed. Please note, our frames do not come with a glass panel. 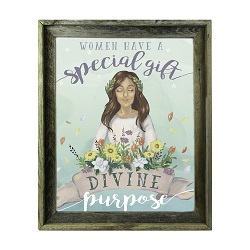 We've combined simple, modern typography and inspiring Latter-day Saint quotes to help you invite the spirit into any space. This art print features the phrase "I Stand All Amazed." It's available in three different frame styles and two size options. Each one is expertly mounted and framed. Please note, our frames do not come with a glass panel. 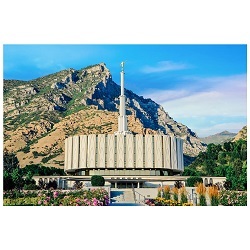 We've combined simple, modern typography and inspiring Latter-day Saint quotes to help you invite the spirit into any space. 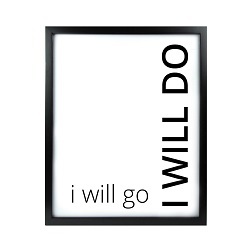 This art print features the phrase "I Will Go I Will Do." It's available in three different frame styles and two size options. Each one is expertly mounted and framed. Please note, our frames do not come with a glass panel. We've combined simple, modern typography and inspiring Latter-day Saint quotes to help you invite the spirit into any space. 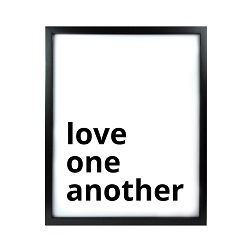 This art print features the phrase "Love One Another." It's available in three different frame styles and two size options. Each one is expertly mounted and framed. Please note, our frames do not come with a glass panel. We've combined simple, modern typography and inspiring Latter-day Saint quotes to help you invite the spirit into any space. 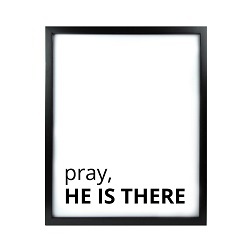 This art print features the phrase "Pray, He Is There." It's available in three different frame styles and two size options. Each one is expertly mounted and framed. Please note, our frames do not come with a glass panel. We've combined simple, modern typography and inspiring Latter-day Saint quotes to help you invite the spirit into any space. 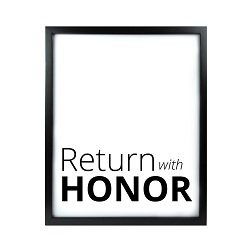 This art print features the phrase "Return With Honor." It's available in three different frame styles and two size options. Each one is expertly mounted and framed. Please note, our frames do not come with a glass panel. 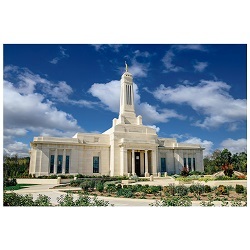 LDS Bookstore is proud to offer you and your family the latest LDS products to encourage, teach, and create smiles. 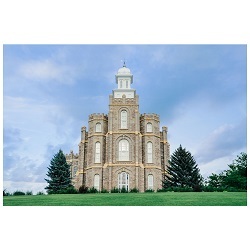 Here, you will find a large assortment of new LDS books, music, jewelry, art, teaching resources, and more. 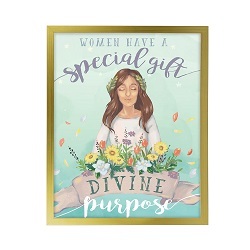 Whether you are looking for a gift, have a child leaving on a mission, or simply want a way to bring some joy into your home or business, we have great, new products at even better prices. Find your favorites today and make sure to check back! We're adding new products every week.